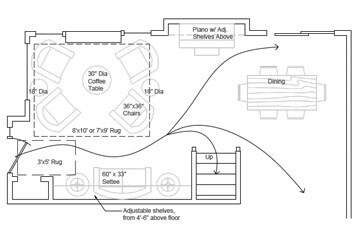 Space planning is probably the most crucial step of the interior design process. 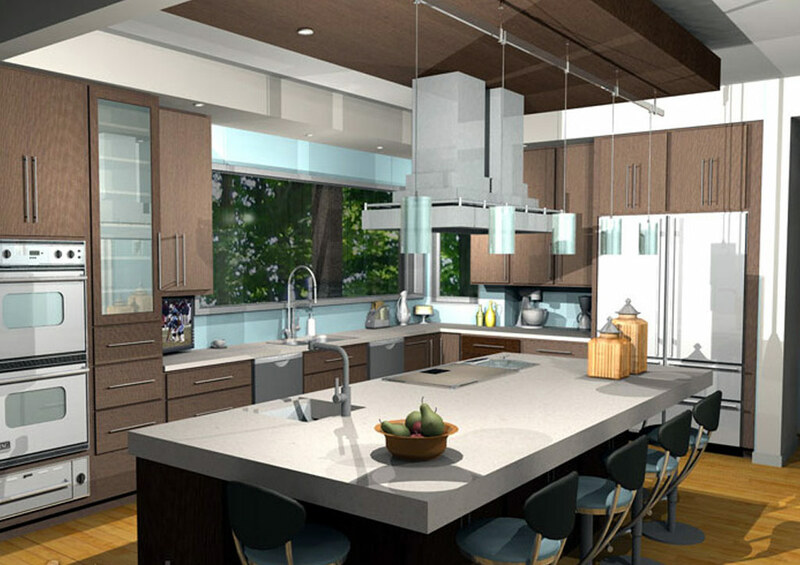 Whether it’s a remodel in Ruby Hill, a renovation in Lafayette or new construction in Blackhawk, First Impressions Interior Design begins phase planning by an in-depth analysis with the client on how the space will be used. Based on this information we’ll draw up a plan that identifies zones in each space and the activities that may take place in those zones. From bedroom designs to kitchen & bath remodels, First Impressions Interior Design will consider every little detail when creating your room layout. Space planning will take into consideration how people move through a room. Otherwise known as traffic flow. 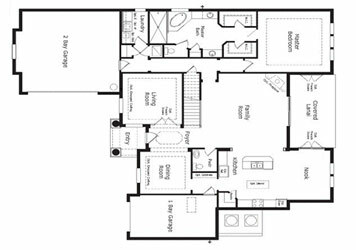 Our east bay interior designers will define circulation patterns to show traffic flow. Regardless of the room style, we will evaluate then optimize the room layout for public verses private spaces. We’ll think about the structure of the room, the main focal points and furniture placement. We’ll ensure each room placement and function is appropriate for your family. For example: if you do a lot of entertaining, having a living room adjacent to a bedroom might not be the best use of space. 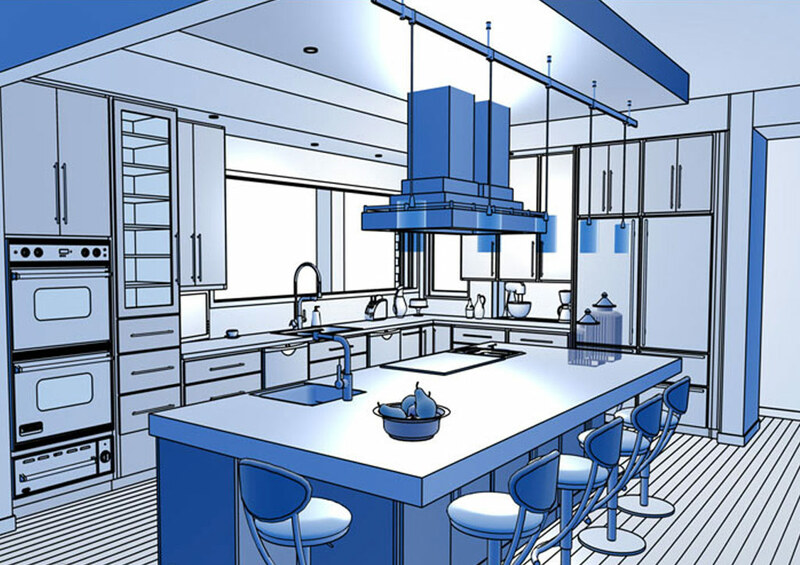 Once the space planning is complete, our interior design team will provide a 2-dimensional rendering of the room. Clients love this step because it brings the design to the life. From here we work together to select window treatments, room palettes, wall decor, lighting, furniture & appliances. In the final space planning phase, the client will be shown a 3-dimensional projection of exactly how the materials selected will appear in the room. Besides the actual room renovation, this is the most exciting part for the client. It’s like stepping right into the room. The example above is from a Ruby Hill home remodel. Carol was a wonderful interior designer. She started helping us pick up wall colors the first day we met her and she was very accommodating of our busy schedules. She listened to our ideas and what we envisioned and put together a beautiful great room and master bedroom. I really liked how she guided our vision and not imposed hers. I was impressed by her knowledge and connections in her field. She made sure that the project was completed in a timely manner and she was a joy to work with. Recently, we made the decision to have our master bath and bedroom remodeled after 35 yrs. over the years we have known Carol and had her help us with the decorating in both the living room and family room. Having remodeled the kitchen eight yrs ago, we thought this project would be much easier. Although the kitchen was a major project, the master bath and bedroom are much more personal areas where one goes to relax and unwind. This project involved taking some of the linen closet space so that we could make our shower larger. That meant taking all items out of closet to be stored in other bedrooms. My husband wanted a walk in closet so all clothes had to be emptied out of each other’s closets. This also meant sharing our other smaller bathroom with my husband, not an easy task for two people. We couldn’t have managed this without an excellent contractor and his great team and certainly not without Carol’s expertise. Carol has a gift of pulling every detail together with a great eye for color and the ability to listen to our ideas and know the colors that we like. Thanks Carol, we never could have done this project on our own. The end result is gorgeous, we will enjoy it for years to come. The contractor you suggested, Jim Davidson and his crew were a pleasure to have in our home, they were amazing! I would certainly recommend them with their ability to work quietly, maticulously and dependability. They have done an outstanding job with attention to detail the bathroom and walk in closet are fine examples of their work! 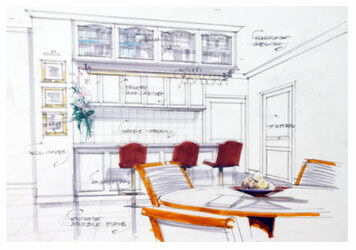 Thru the years ,Carol has ALWAYS been my #1 ‘go to’ for Interior Design projects! She is prompt, efficient, knowledgeable and works within your budget. I have always been very happy with the results, not only in MY home but other friends that I have recommended her to. She has excellent taste and seems to be spot on when she brings her ideas to you. Highly recommend her!